Near Field Communication (NFC) is quite handy for transferring data between two devices. Whether you want to send photos, videos, files, or make a payment, NFC can make it easy to do so. But how does it work, and how do you use it? We’ll walk you through the important things you need to know about using NFC. The name for the technology gives away how it actually works. You have two NFC-capable devices, and they are able to communicate with each other if they are close to each other (i.e., “near” each other’s “fields”). Communication occurs via radio frequencies. Check out our other expanded overview of NFC and how it works for more details. In the mobile scene, NFC is being marketed as a file-sharing or data-sharing tool. Through NFC and Android Beam, devices can swap files very quickly between each other. More than that, the presence of NFC on an Android device also allows the same device to read and/or write to programmable NFC tags. We’ll talk more about both of these things later in the post. Not all phones and tablets have NFC. Does yours? How do you check if it’s there? One way is to check underneath the backplate and look for any small print or other clues. On certain Samsung phones, for instance, you’ll see “Near Field Communication” printed on the battery pack. 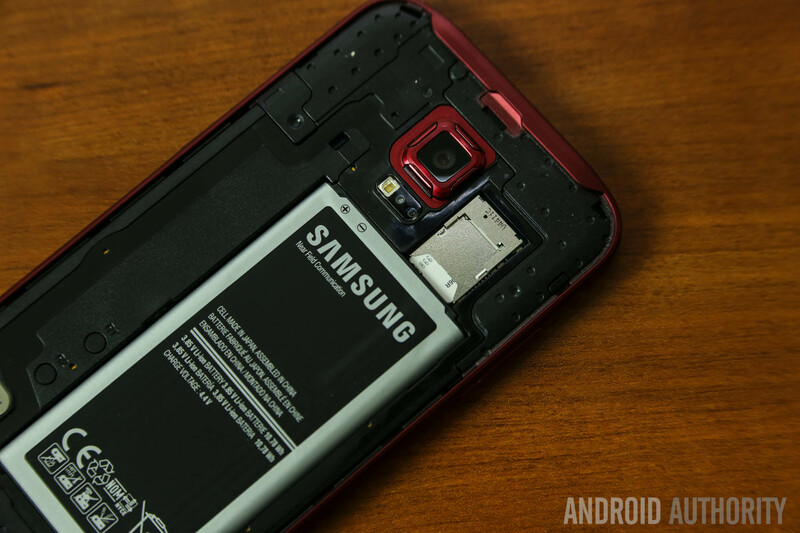 However, this only applies to older phones, as the majority of newer models don’t have a removable back. On some devices — especially Sony Xperia handsets — you’ll see the N-Mark on the back, the official symbol indicating that the device is NFC-enabled. The N-Mark also shows the exact location of the NFC chip. Scroll down and you should see “NFC” and “Android Beam” options. Depending on your device, these two options could be located in a different folder. If you can’t find them by heading to Settings > More, open up the setting menu, tap the search icon on top, and type in NFC. If your phone has it, the NFC option will show up. Go to Settings > More. Tap on the “NFC” switch to activate it. The Android Beam function will also automatically turn on. If Android Beam does not automatically turn on, just tap it and select “Yes” to turn it on. Smartphones’ NFC capabilities operate in tandem with Android Beam. If Android Beam is disabled, it may limit NFC’s sharing capacity. Make sure both devices have NFC turned on. Open the content to be shared. Place both devices’ backs against each other. Wait for sound and haptic confirmation that both devices have detected each other. Notice the sender’s screen shrink into a thumbnail and display “Touch to beam” at the top. Touch the sender’s screen to begin beaming. You’ll hear a sound when beaming starts. When beaming completes, you’ll hear audio confirmation. You’ll also get either a notification that the beaming has completed, or the appropriate handler app will launch and open the beamed content. Sharing apps via NFC does not share the app’s APK. Instead, the sender’s device just beams the app’s Play Store page, and the receiver device opens it, ready for downloading. Sharing web pages via NFC does not send the web page itself. Rather, it merely sends the web page URL and the other device opens it on the default web browser. Technically, sharing YouTube videos does not share the video file. It does, however, direct the receiving phone’s YouTube app to the video. When sharing a contact via NFC, the contact info will be automatically saved to the device’s phone book. Sending photos via NFC is a breeze. Open the image you want to send, place both devices’ backs against each other, and tap on the screen when prompted. The receiving device will then get a notification that the transfer is completed — tap it to open the image. Apart from sharing content with other NFC-capable devices, you can also use NFC to configure your phone’s or tablet’s settings with just a tap. You can do this by tapping an NFC-capable device against a programmed NFC tag. An NFC tag is an unpowered NFC chip, small enough to be embedded in items such as posters, movie passes, business cards, medication bottles, stickers, wristbands, key fobs, pens, hang tags, and more. The microchip can store small chunks of data, which can be read by an NFC-capable device. Different NFC tags have different memory capacities. You can store different data types on an NFC tag, such as a URL, contact info, or even commands and settings that the reading device could execute upon contact. To read data from or write data to such NFC tags, you’ll need an NFC tag-reading or tag-writing app, such as the Trigger app. Tags programmed using this app can only be read by devices that have this same app installed. You can program an NFC tag to perform tasks such as open a web page, configure phone settings, or even send text just by tapping the device against the tag. So, for instance, you may want to program an NFC tag for use when you reach the office, where you’d need your phone set to vibration mode, Wi-Fi set to on, and Bluetooth inactive. Just tap your device’s back against the programmed tag, and the device will perform the tasks programmed onto the tag. To save all your selected actions/tasks onto the NFC tag, just tap the “Save & Write” button. And, to execute the actions or tasks, just tap the device’s back against the tag. Mobile payments are what NFC is most used for. There are quite a few of them out there, with the most popular ones being Samsung Pay and Google Pay. There’s also Apple Pay, but the service doesn’t work with Android devices. Samsung Pay: What is it, how does it work and how do I use it? To make payments with your phone, you first need to sign up for one of the payment methods available. Samsung Pay is only compatible with Samsung devices, while Google Pay works on handsets running Android 4.4 KitKat and higher. When you’re up and running, you can start making payments at supported retailers. To do so, the first thing to do is make sure that NFC is enabled. Then hold the back of your device close to the payment terminal for a few seconds and wait until the payment is completed. If you’re using Android Pay, a blue check mark will appear on your screen when the transaction is made. Keep in mind that you may have to enter your PIN code at the end depending on the amount of purchase, or sign the receipt. There you have it — that’s how to use NFC on Android devices. What do you use usually use NFC for (sending images, making payments…)? Let us know in the comments!